We are an association of Canadian orchid societies dedicated to serving the Canadian orchid-growing public. COC is federally registered as a non-profit organization. 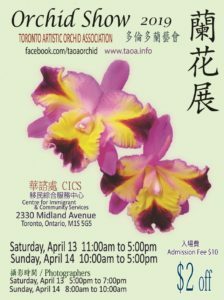 Disclaimer: Canadian Orchid Congress does not sell orchids nor orchid supplies and does not represent orchid vendors.